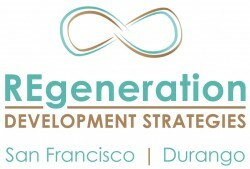 REgeneration Development Strategies is a planning consultancy and boutique development firm founded in 2014 by Jeremy Nelson. Our practice focuses on catalyzing revitalization and redevelopment through the integration of land use and transportation planning, community design/placemaking, and the strategic facilitation of stakeholder consensus. We advise or partner directly with public- and private-sector clients on community revitalization initiatives and redevelopment projects, with an emphasis on mixed-use, location-efficient development in urban settings and sustainably-designed, context-sensitive development in resort/rural settings. Our dual experience working in both a consultant role and leading actual development projects gives us a unique perspective on structuring public-private partnerships (P3) because we’ve sat on both sides of the table during negotiations around development agreements and entitlements. 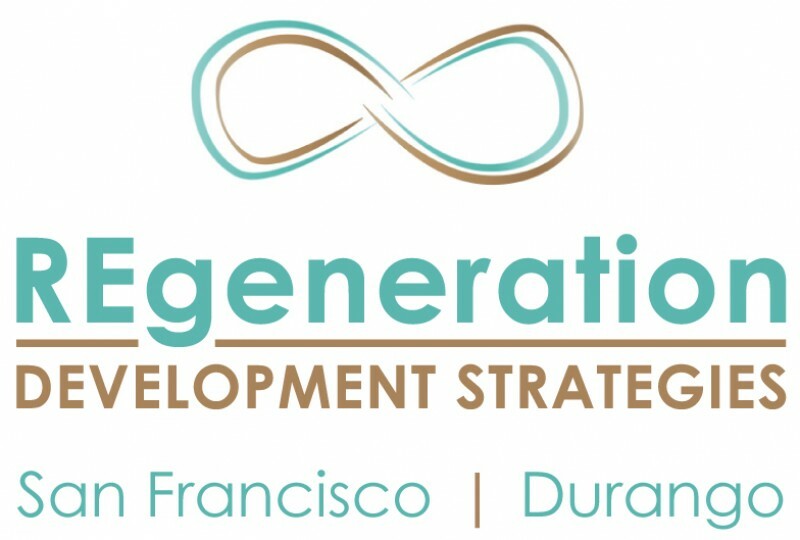 With offices in San Francisco, CA and Durango, CO, REgeneration Development Strategies has successfully completed projects in communities of all sizes throughout the country, with significant experience on the West Coast and in the Mountain West and Southwest. We deliver value through the implementation of a fully-integrated, client-focused strategy during all project phases. Depending on your needs, we can partner with you as an advisor, a fee developer, or an equity partner. We look forward to helping you achieve your vision on your next legacy project!